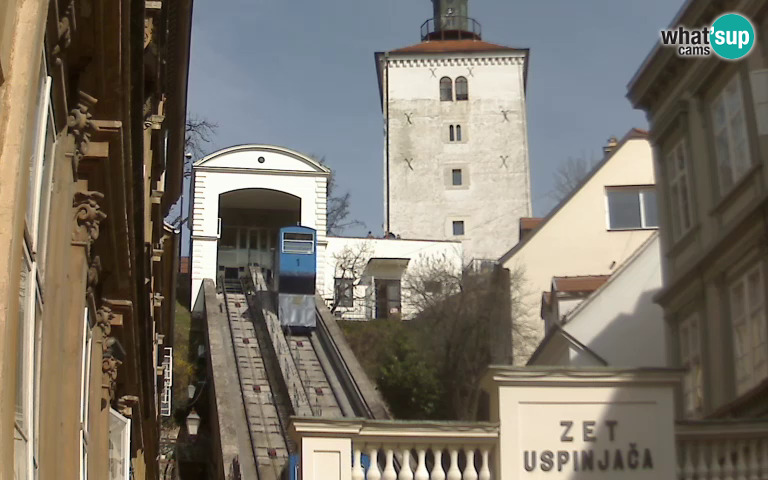 Funicular - A view of the funicular that connects the upper town (Gornji Grad) with the lower town (Donji Grad). Zagreb: View over Zagreb, 0.1 mi. Zagreb: Bana Jelačića Square, 0.2 mi. Zagreb: Sestine & Medvednica, 0.2 mi. Zagreb: Zagreb Airport, 0.2 mi. Zagreb: Ban Jelačić Square, 0.2 mi. Zagreb: Ban Jelačić Square, 0.3 mi. Zagreb: Ban Jelačić Square in Zagreb, 0.3 mi. Zagreb: Zoo Zagreb - Lions, 2.3 mi. This webcam Zagreb with the theme City Views was added on May 6, 2014 and is operated by Whats UP Cams. It got 1351 visitors since then. Shouldn't this webcam work or should the link be wrong please report that here. You can add this webcam here to myCams.